Students and teacher open up Microsoft Word. 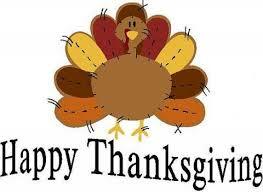 Teacher will use the projection device to demonstrate how to center and type the word “Thanksgiving”. 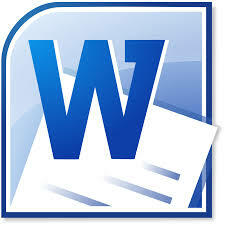 Instruct the students to click on the “Center Button” found on the Formatting Toolbar. Then have them type the word “Thanksgiving”. Press “Enter” three times. Notice the cursor is still located in the center of the page. Instruct students to find the “Align Left Button” and click it once. Now the cursor is at the left of the page. Teacher will point out the “Numbering Button” found on the Formatting Toolbar. (Hint: Look for the 1, 2, 3 with the lines behind it.) Instruct students to click this button once. This will start their numbered list with the number one. Brainstorm a word that starts with the letter T. Type the word (thanks for example) and push enter once. This will bring them to number two. Now think of word that starts with the letter H.
Push “Enter” two times after your last word and type your first and last name. Documents may be printed and/or saved to an agreed upon location. Close the window by clicking the “X” in the top right corner of the screen. Optional: Clipart may be inserted if desired.